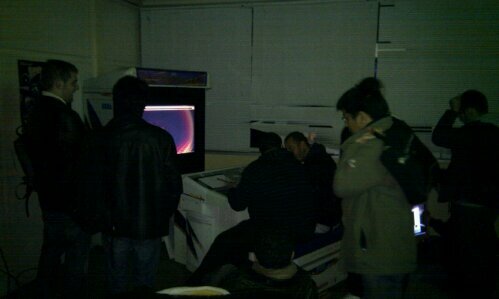 Imagine an arcade that has all the latest fighters, plus the classics. La Mythik has all of this, in Paris, France. Imagine a free play session evening, where you can play anything there for the total price of �8. La Mythik also has this. 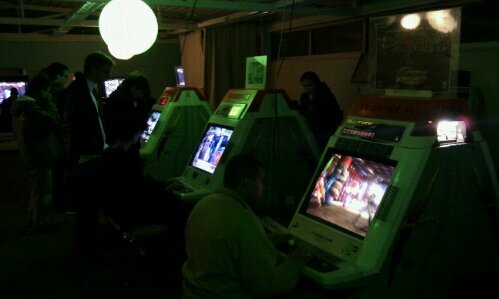 Imagine this session going on till 6 am, where they even have consoles set up for those rare fighters and pad players. Imagine megalo 50 cabinets, with HD TVs… versus city cabinets… yes, La Mythik has all this and even sells food and drink. It’s bloody awesome. Yes, that’s right I had to face Salim, having only started playing the game for the first time ever a few hours earlier! Argh. Still, my 2nd impression of Kof XIII has been much more positive. I’ll post more about this tomorrow… I’m going back to La Mythik right now, having had three hours sleep… hehehe kof is on fire!